London, the big city which connecting US to Europe and vice versa. UK VPS offering great connectivity and solid uptime to the British people or someone who wants to have a server in London. You can get a very cheap Windows or Linux VPS server in this big and expensive city with also FREE DDoS protection. All the VPS servers come with dedicated hardware including super-fast pure SSD drives in RAID 10. You do have an option to pay Anonymously with Bitcoin or you can pay with other gateways like PayPal, Credit Card, PerfectMoney, Payza and Alt Coins. 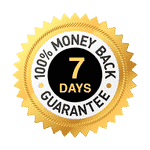 We have 7 days Money Back Risk Free Guaranteed on all of our VPS Plans.